Betty and Tab roll the dice once more in an exciting strangers with candy episode! 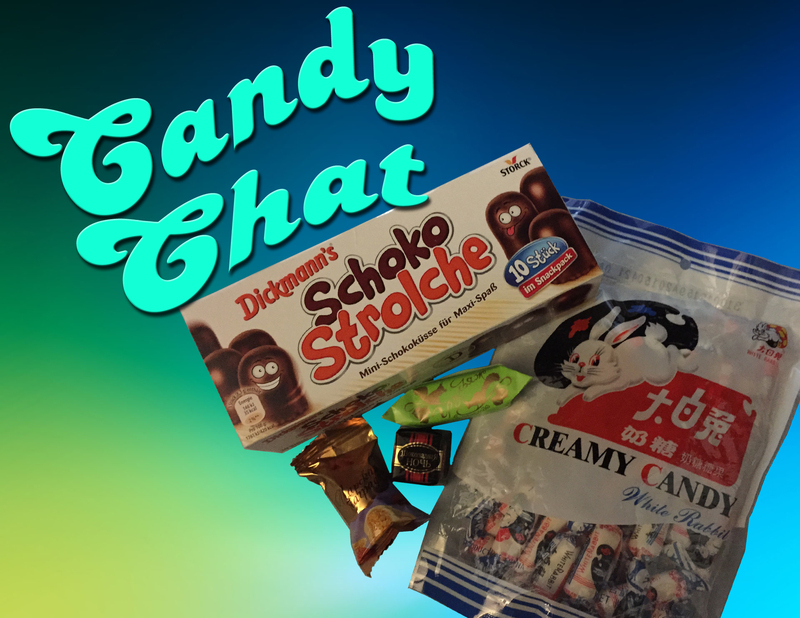 Candy from three different listeners has the ladies thankful and nervous as they try goodies from across the globe in this strangers with candy. What have listeners Terah, Amy, and Susan sent? How about Dickmann’s Shoko Strolche, White Rabbit Creamy Candy, and some unidentifiable Slavic candies! With so many choices, the ladies might find it hard to agree on what the best one is… Hold on to your passports for this world tour of treats! Don’t forget to like Candy Chat on Facebook and follow on Twitter!